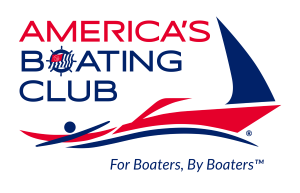 Our monthly meetings are held on the first Thursday of each month October through June at the Des Moines Yacht Club located at 22737 Marine View Dr. S in Des Moines, WA 98198. Follow this link to read the minutes of our latest General Membership meeting. All members are invited to attend. There is no charge to attend our meetings. If you would like to enjoy dinner, reservations are $20.00 per person. Social hour begins at 6:00 PM followed by dinner served at 7:00 PM. Following dinner, the meeting is called to order and our officers conduct squadron business. Business is typically followed by a guest speaker presentation such as "How to Navigate the Ballard Locks" or other interesting topic. We hold a number of cruises throughout the cruising season where our members travel to interesting locations around Puget Sound such as Poulsbo, Blake Island, Olympia, to name a few. Our members enjoy cruising together to these locations and sharing fun activities and comaraderie throughout the weekend. Our members provide civic services in the form of many activities and events in the region. We provide free USCG-approved, Vessel Safety Examinations for the public, support the Des Moines Food Bank, Boat Shows, etc. all around Puget Sound. Our members have a wide variety of classes and seminars available to choose from to learn more about Seamanship, Coastal Piloting, Marine Weather, Engine Maintenance, Marine Navigation Systems, to name few. Many of our members enjoy insurance discounts after having completed our boating safety course. Our members also enjoy discounts on many marine products and services throughout the Puget Sound cruising area. For more information about joining Poverty Bay, please send an e-mail to our Membership Chair.